1) We lose control once the GMOs are let loose in the environment. We currently lack the ability to rigorously test GMOs, and their effect isn’t known until that impact is felt in the environment. Through transgene flow, we currently can’t contain the engineered pollen once a genetically modified plant is outdoors. Impacts include the potential for the pest-resistant characteristics of GMO crops to be transferred to other plants in the environment, which could ultimately cause increased weed populations and toxicity, and the real example of how GMO corn (also called Bt corn) — altered to increase resistance to the corn borer and other pests — kills monarch butterfly caterpillars. 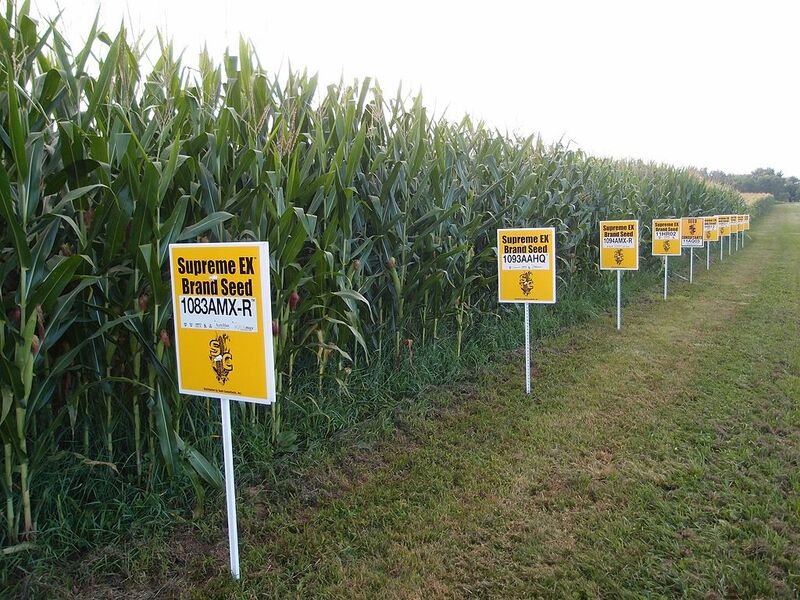 2) GMO pollen drift causes problems for farmers. Pollen from GMO crops can and does drift into the fields of farmers and fertilize the non-GMO crops they are growing (unbeknownst to the farmer). The farmer growing the non-GMO crop might end up with hybrids she didn’t expect or want, or her export crop is rejected after it has been contaminated by GMO pollen. Both pose serious problems for farmers. 3) GM patents by corporations threaten to monopolize the food system. Patents for GMO crops began to be granted in the 1980s, and from this point forward corporations moved to claim a monopoly on the development of food. Up until this point, crop hybridization rested on the shoulders of farmers and plant breeders in the field who frequently focused on seed sharing instead of intellectual property; the genome of crops was considered a common property for all. Examples of monopolization include multinational agribusiness corporations like Monsanto trying to “patent” a tomato with zero biotech traits or crops grown by indigenous peoples for thousands of years (this resulted in an inevitable global legal backlash). This style of exclusive food ownership and control is risky for global food security and ultimately puts the power of food centralization and control into the hands of a few nations and a few corporations in those nations (the US is the #1 producer of GMO crops). 4) GMOs do not reduce chemical application rates as promised. One argument heralding a GMO benefit is the reduction in herbicide and insecticide applications; defenses against pests and weeds are frequently engineered into crop plants, which make spraying unnecessary (at least in the short term). The argument is that farmers no longer have to spend their money on these chemicals, and natural ecosystems would be better without the chemical inputs. The problem is that this is a wash at best in the real world. While GMO corn did indeed resist the corn borer and corn earworm as engineered and required less pesticide input as promised, an unintended consequence of the genetic engineering is that it kills monarch caterpillars, which is a steep price to pay. And, it only took six years for the targeted pests to begin showing resistance to the engineered corn. As another example, “Roundup Ready” crops — engineered to be resistant to the broad-spectrum herbicide Roundup (glyphosate) making it possible for farmers to spray the herbicide on their entire field while killing only the weeds — caused the evolution of “super weeds”, which are resistant to glyphosate. 5) A homogenous food system increases the risk of famine: GMO crops encourage planting monocultures, and history has shown that monocultures in the food system lead to massive crop failures and famine (read about the southern corn leaf blight of 1970-1971 here and the Irish potato famine here). It’s well established that a homogenous food system is a threat to food security worldwide. 6) GMOs won’t “feed the world” until the food waste problem is addressed. Some say that a rising global population necessitates finding new ways to meet the increased demand for food through the use of GMO crops. However, about 30% of the food already produced globally is wasted (that number increases to 40% in the US), and reducing food waste is one of the best ways to increase food security compared to GMO development. In fact, studies show that US and Canadian GMO crops do not even have higher yields compared to the same non-GMO European crops. Yes, humans have been genetically modifying plants through artificial selection since the advent of agriculture (at least 10,000 years). We’ve done this, for example, by choosing the plumpest grains to plant each season, grafting one apple to another, or breeding only the goats that produce the most milk. We have, through time, selected plants and animals to express the traits that are beneficial to us, including increased yields, drought tolerance, disease resistance, enhanced taste and nutrition, and more. In contrast, the Non-GMO Project defines GMOs as living organisms whose genetic material has been artificially manipulated in a laboratory through genetic engineering. This creates combinations of plant, animal, bacteria, and virus genes that do not occur in nature or through the traditional crossbreeding methods that have been practiced for thousands of years. It’s important to point out that most GMO crops in production are not foods that we consume directly. Between 70% to 90% of GMO crops are used as feed for food-producing animals; about 10% of total land used for crop production is devoted to GMO plants. Seed is currently available for 10 GMO crops: corn, soy, sugar beets, canola (oil), cotton (oil), papaya, eggplant, potato, and squash. And the most prevalent of these (corn, soy, sugar beets, canola, and cotton) make their way into our food system via processed foods like high fructose corn syrup and other additives (about 90% or more of the crops grown among these five are now genetically modified). But to date the proven benefits of GMOs in the food supply are questionable, and more research needs to be invested into the safety and long-term environmental and health impacts of GMOs before adding them into the food production system. Presently, instead of GMOs, it might be more effective and safer to enhance a traditional biodiverse agricultural system that focuses on proper soil and water management to increase yields and improve pest and drought resistance. Diverse agricultural systems are also more adaptive to local soil and weather conditions, and regional cultural farming practices and tastes. Fixing the food waste and food distribution problems will resolve food shortages, and allow all of the food we produce to reach and be eaten by those who need it, worldwide. And, perhaps most importantly, the control of a global food system will not be in the hands of a few privileged multinational agribusiness corporations. Wow wee….what an article, very enlightening! Thanks you Christina, for the effort!! Many things go into our food chain that are played off as beneficial in agriculture. Nitrates being one of them. Groundwater is being polluted by big ag practices and going unregulated. Health threats are being minimized for the wrong reasons.